I Love it. Why such low ratings?? I don't understand why this has got a 3 out of 10 ? I think its a fantastic show. 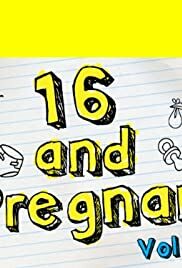 Shows how these teens have to grow up instantly when their baby is born, and shows their struggles with the baby daddy & family etc. I personally love it. I've become addicted and am watching it pretty much back to back to catch up. Its got all the typical MTV type animation throughout which gives it a bit more of an upbeat type feel. the show is pretty emotional, its got me laughing, crying and in shock. I will continue watching it and I cant wait to start teen mom 1 & 2! !